That, actually, might get a bit tedious but here’s the truth: I didn’t need to say anything because this salad spoke beautifully for itself. Those top notch ingredients were so much better than if I’d bought the apples, arugula and blue cheese from Gelson’s. 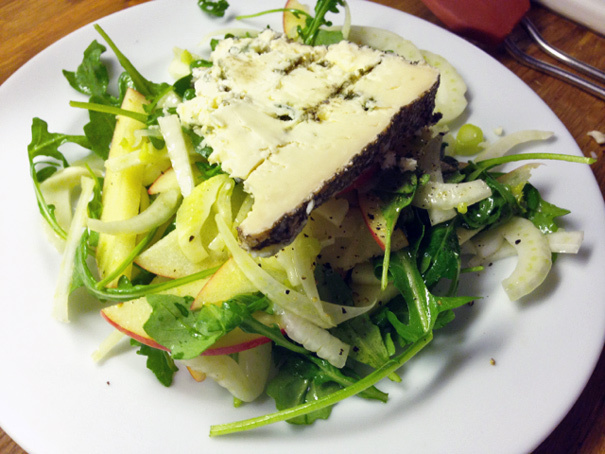 (Quick recipe: slice fennel and apples thinly, toss with arugula, olive oil, white wine vinegar, salt and pepper and top with a slab of blue cheese.) Oh and that blue cheese was totally, life-changingly amazing: rich and creamy with electric zips of salinity. The other nice thing about taking the time to shop is you might surprise yourself along the way. 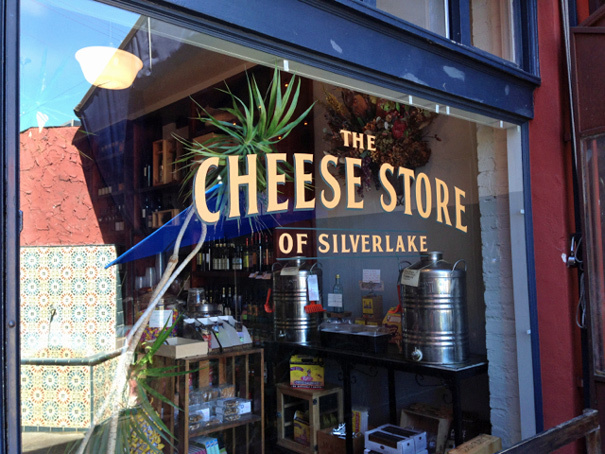 Next door to the Cheese Store of Silverlake is a flower shop. I went in there and the nice woman there told me that she was in love with the rose hips. “Ok,” I said, a little confused. 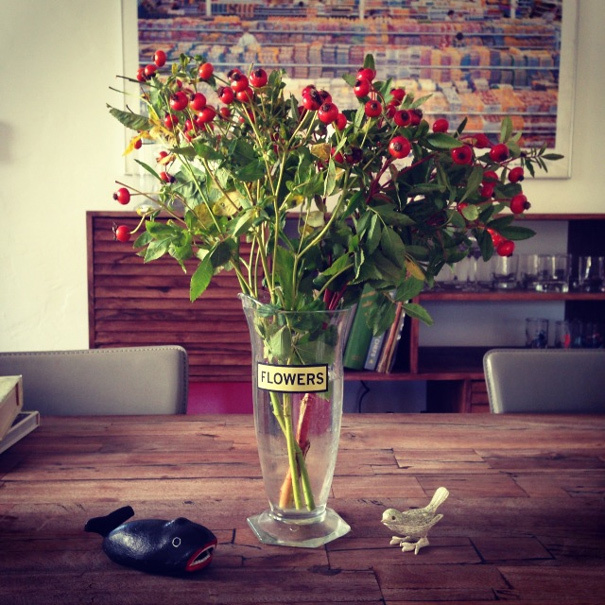 Then she pointed to these flowers with little red balls at the top. I bought three branches for $3 each and put them at the center of the table. Nice, right? Little details start to improve too. 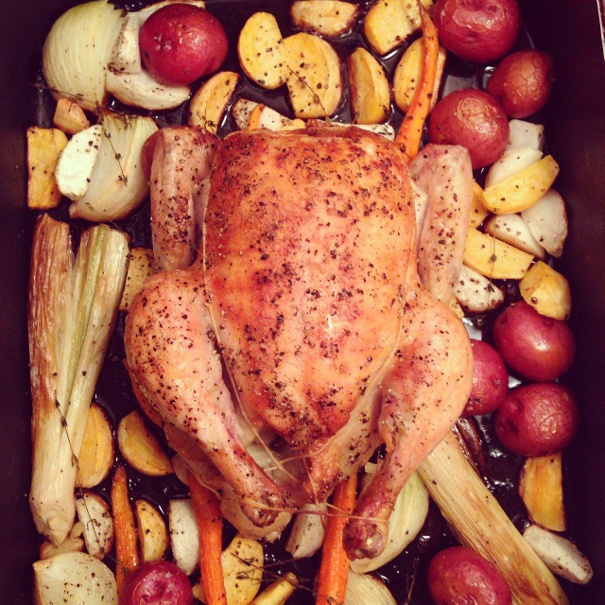 So, even though I’ve made Thomas Keller’s roast chicken with root vegetables a million times, when those root vegetables come from the farmer’s market, it tastes that much better (especially the turnips). This better-than-usual meal had everything to do with how I spent my time prepping it. 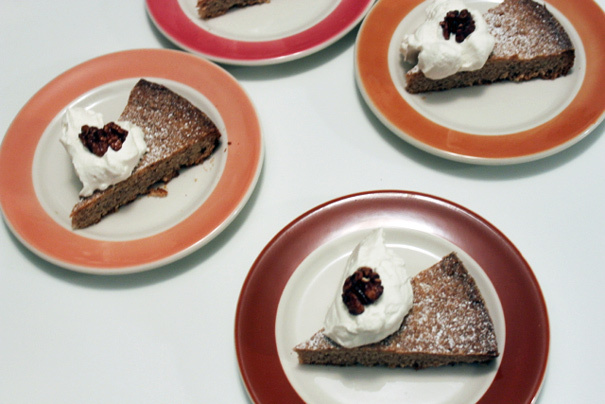 So now, as I think about tomorrow’s Clean Plate Club dinner party, I’m spending less time studying cookbook recipes and more time plotting my course. First stop? The Santa Monica Farmer’s Market. It’s schlep, but as this post proves, it’ll be worth it.